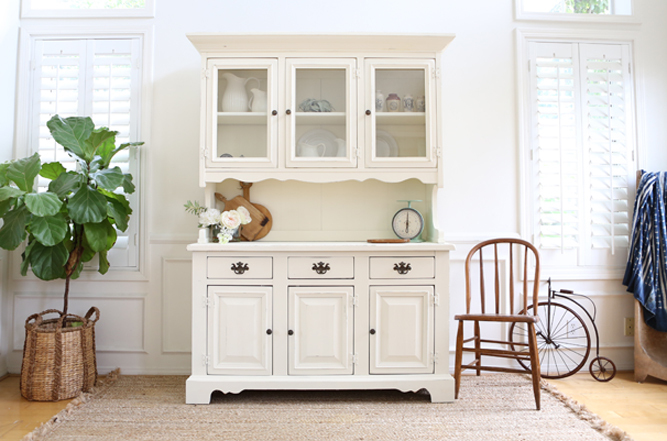 Control clutter and infuse personality into your home with unique vintage storage solutions. Simplicity is the key to a harmonious balance. Loading up a piece will look busy and cluttered. Stick to a neutral color palette with a few pops of complementary colors. Play with different textures for interest (natural woods, wicker, glass, brass and stone complement any style). Add plants for the finishing touch. 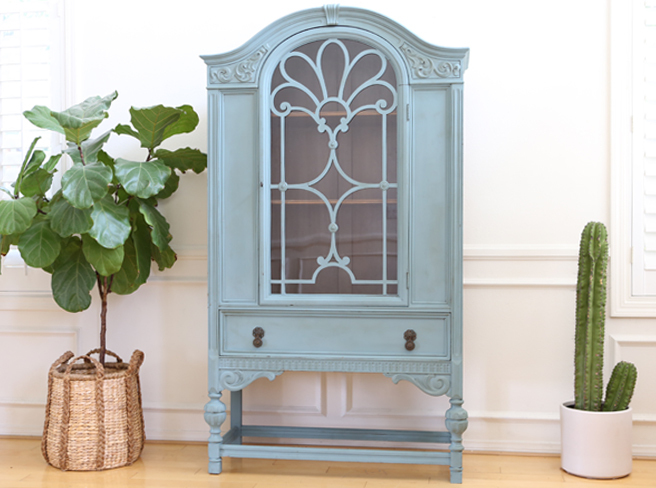 We can never have enough vintage storage, according to Glenn Katec Ruiz, of Golden Pineapple, a vintage and antique furniture seller and restoration company based in Los Angeles, California. While storage pieces are practical, they’re also an important part of styling any room. You want the piece to stand out without overwhelming the space. Lighter tones (whites, blues, green and grays) are pleasing to the eye and easy to work with in the space. Use statement storage pieces to make the most of the space in your home and create a curated yet personal look.